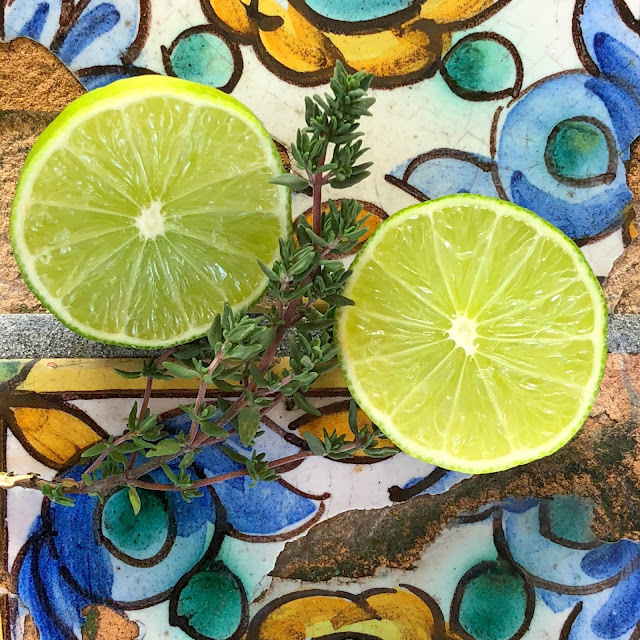 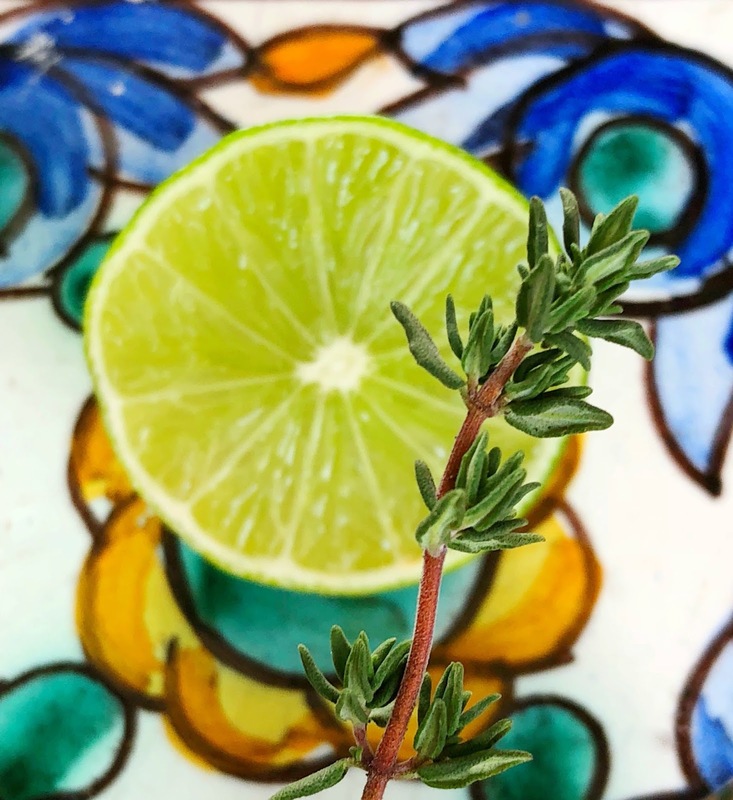 Is it a coincidence that Lime and Thyme rhyme? 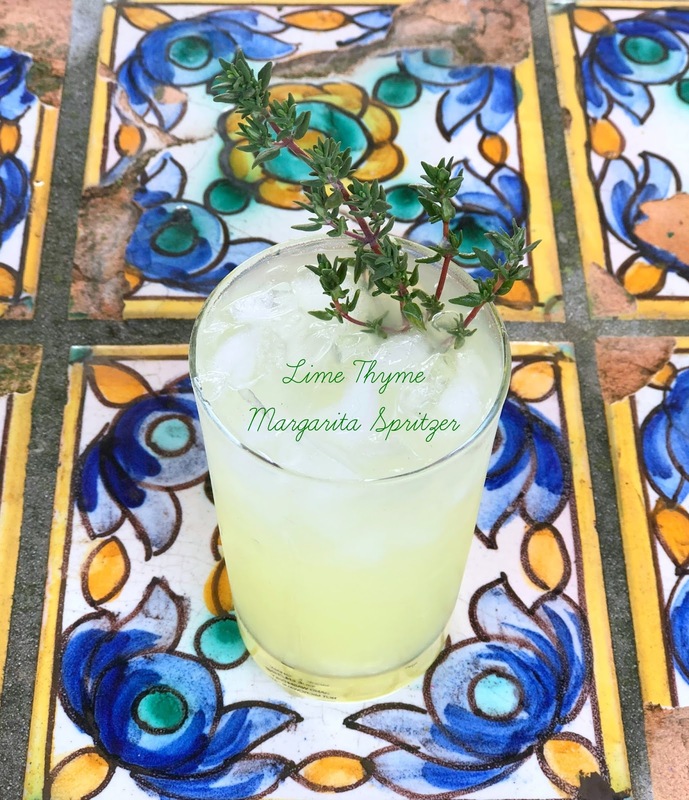 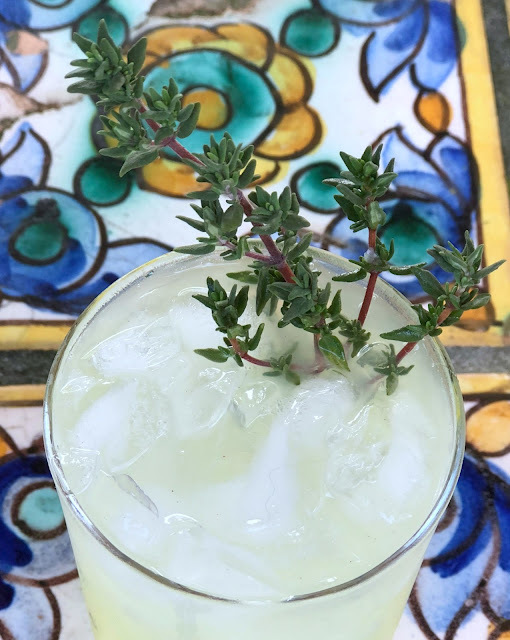 The Lime Thyme Margarita Spritzer! 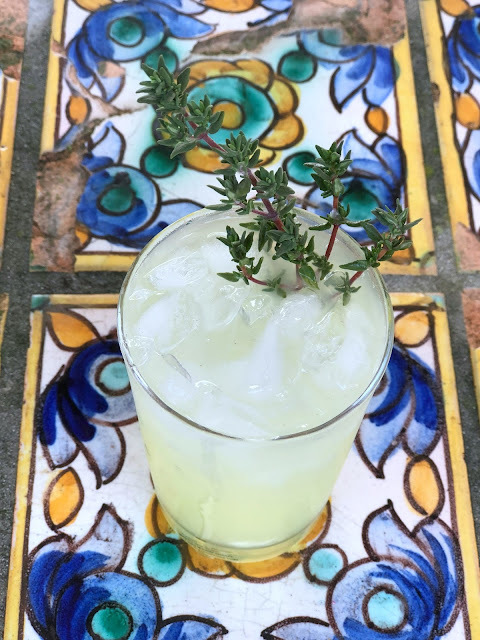 pour over crushed ice, top with seltzer and add a big sprig of thyme as a garnish/stir stick. 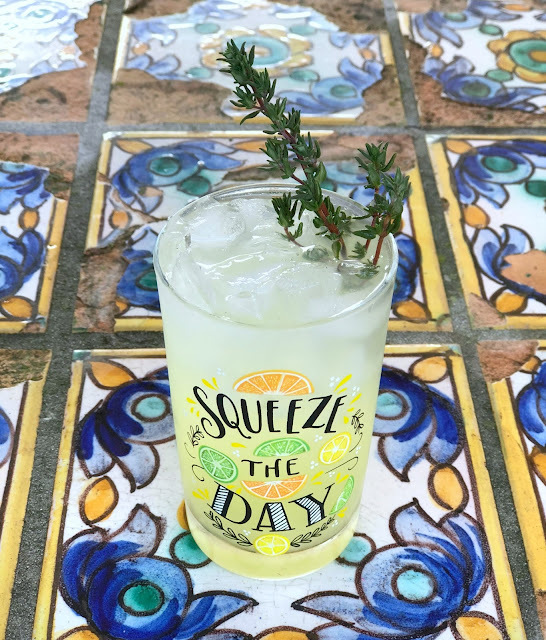 I think it's "thyme" to squeeze the day!